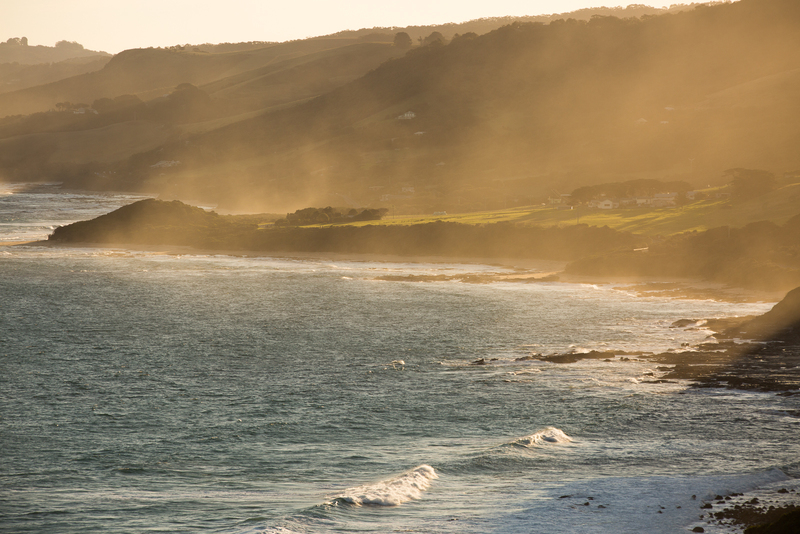 The Great Ocean Road, along the Eastern South Coast of Australia is hands down one of the most amazing drives in the world. 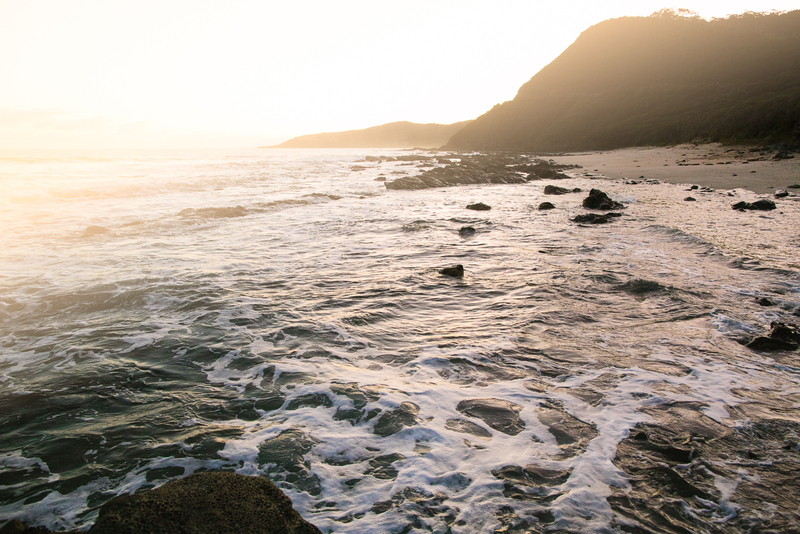 From some of the best surf breaks to hidden waterfalls the region is jam-packed full of things to explore and discover. 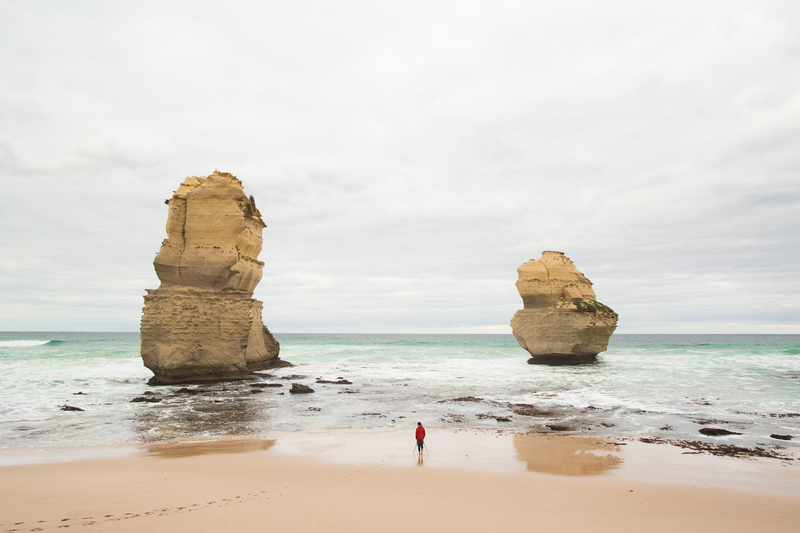 I was lucky enough to find myself in Melbourne over the Easter weekend and extended my stay to travel down the amazing coastline. 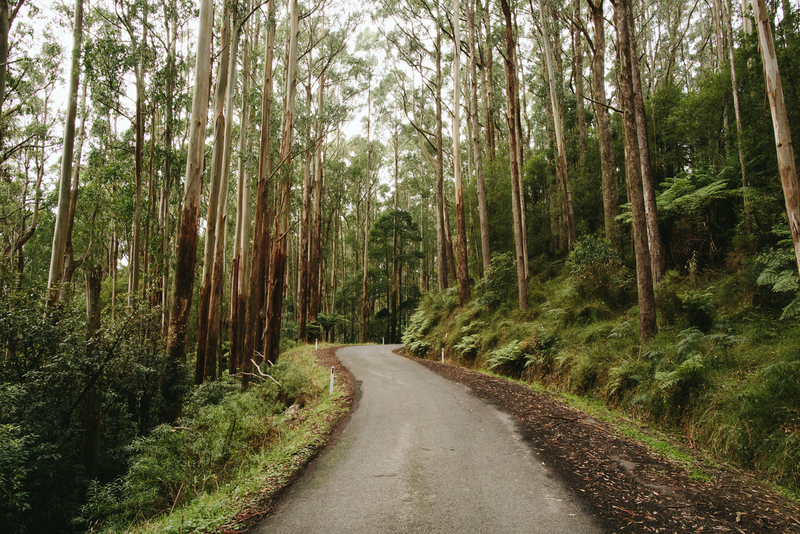 I have driven along the coast a few times before but I had never ventured in to the Otway National Park, where we found so many hidden gems at the end of cool rainforest drives. 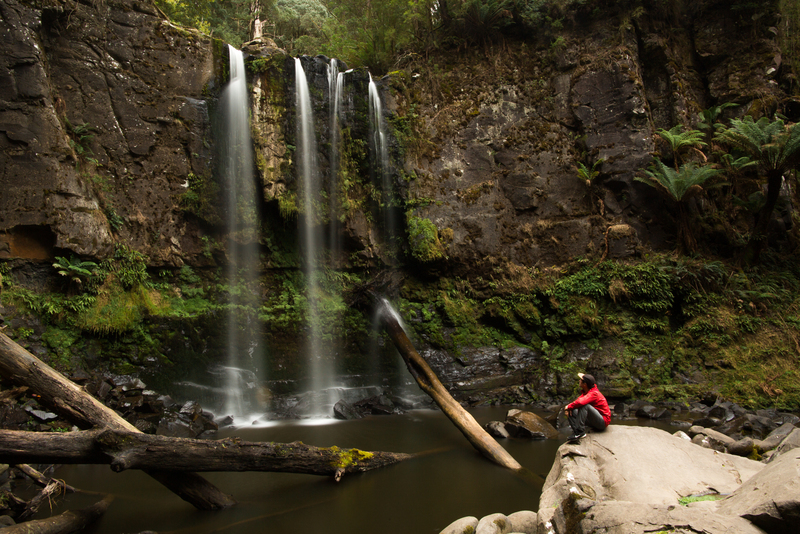 The region hasn’t seen much rain over the past few months and you could really see that through the landscape but that didn’t stop water flowing down the stunning waterfalls dotted around the map. 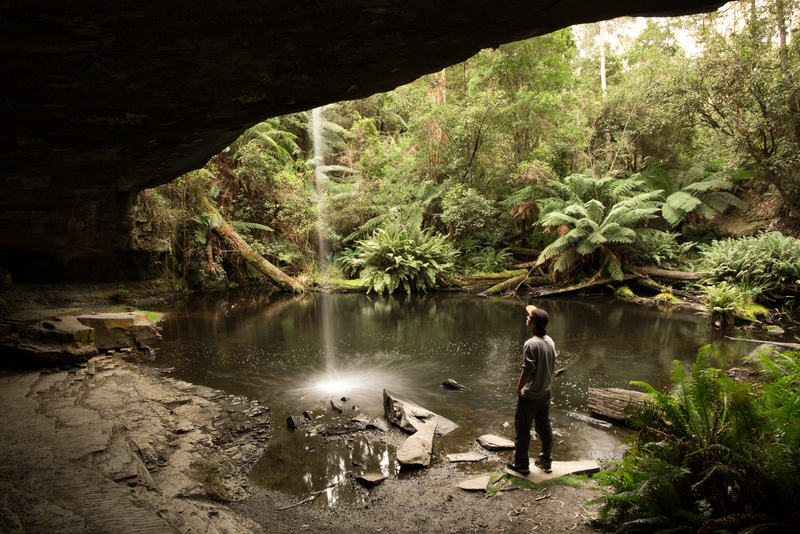 Beauchamp Falls (below) surrounded in ferns was one of my favourites as well as Hopetoun and Lower Kalimna which you can explore behind. Hiding just past Hopetoun Falls along an old logging road lies a patch of old Californian Redwood forest that blew my mind. 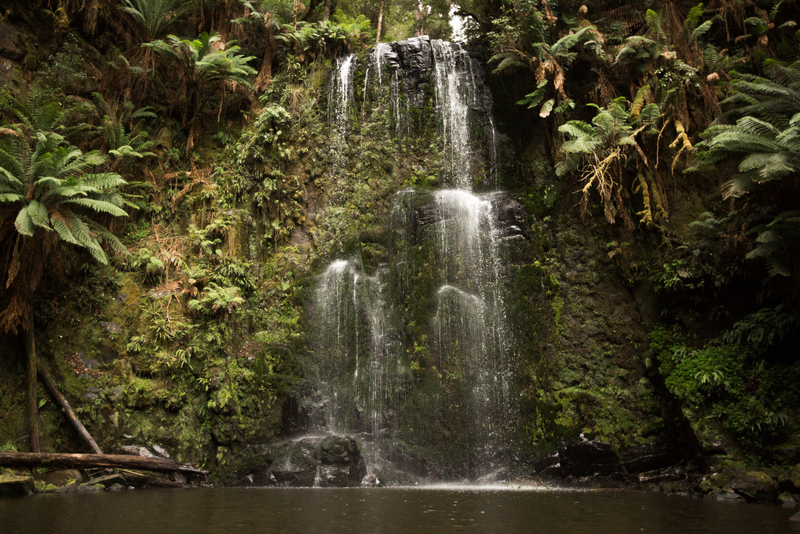 With these beautiful giants surrounding you it feels like being transported to the other side of the world. 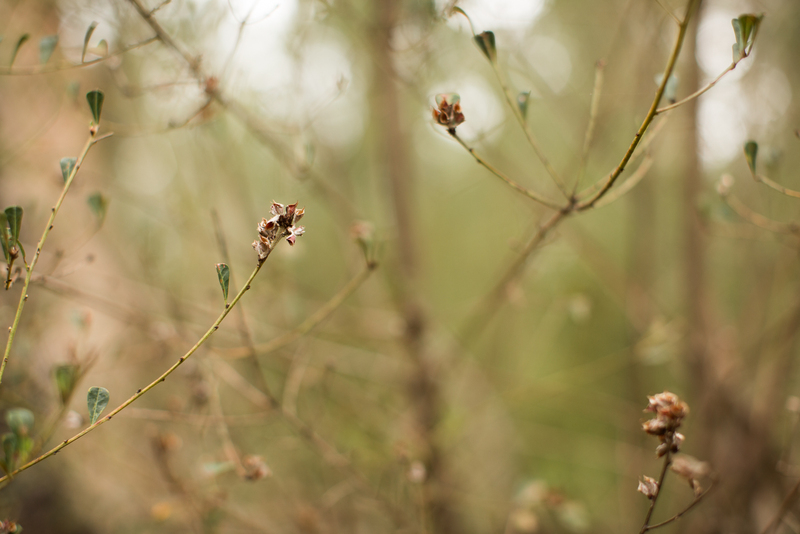 Towering beside the Airie River everything is silent except for the soft crunch of golden leaves beneath your feet. The forest was planted as an experiment in the early 30’s and due to the climate and rich soils now stands over 60 metres tall. Just a bit further north near the small town of Forrest is the tranquil Elizabeth Lake. 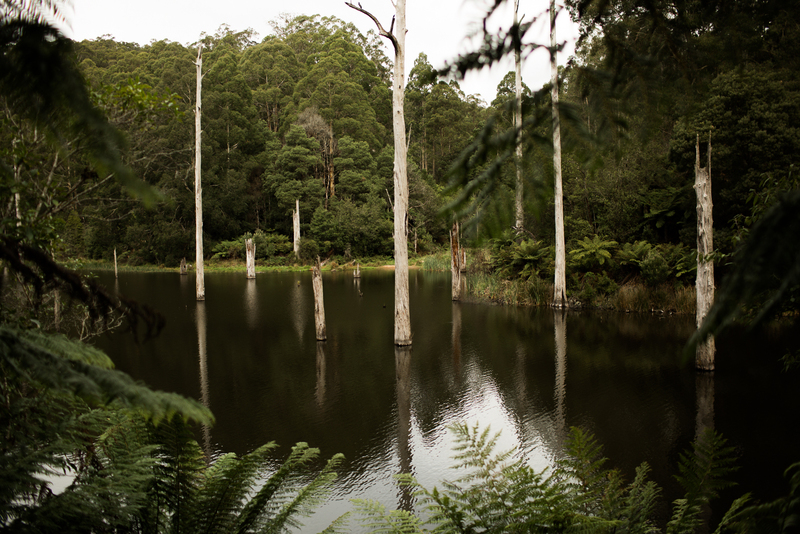 Formed over 50 years ago from flooding and rockfall, the lake now is home to a small population of Platypus. A trail runs around the boarder of the lake where you can watch out for their unique little bills amongst the tree sculptures in the lake. 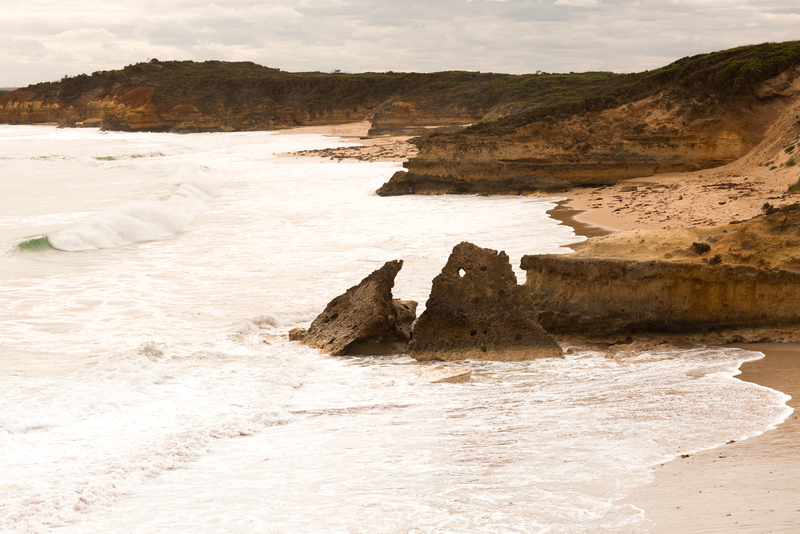 After exploring the secrets of the Otway rainforest we decided to take the iconic coastal drive back, winding our way through the limestone and sandstone formations carved by the wind and seas. 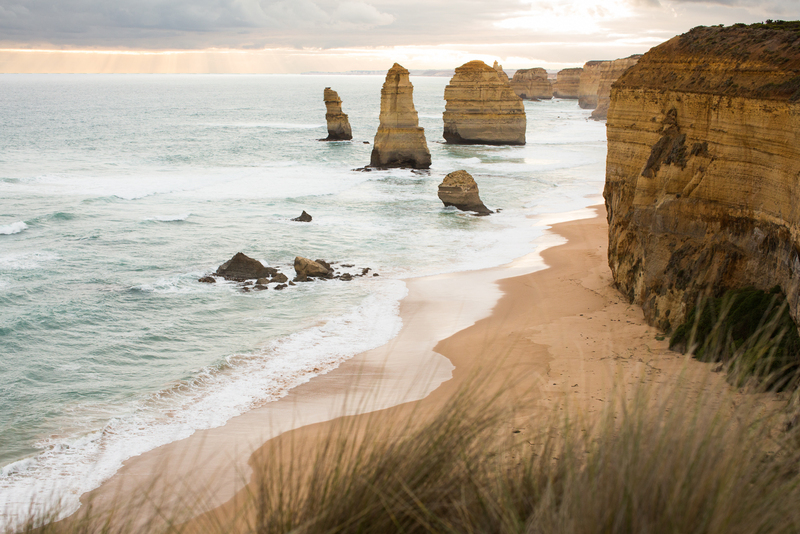 The Bay of Islands, Loch Ard Gorge and The amazing Twelve Apostles all glow in the afternoon golden light and make it a dream to photograph. The ever eroding forms change from each direction you look at them tricking your eyes and revealing new rocks as you wander along the dramatic cliffs. 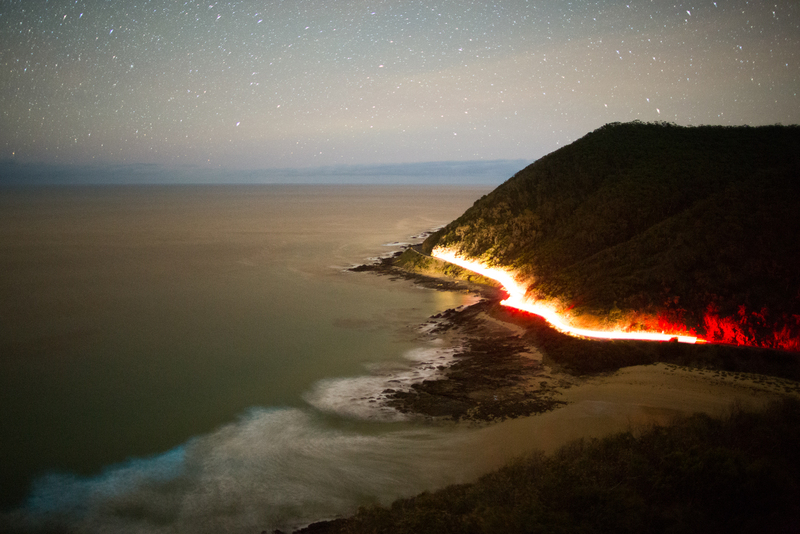 On our last night we perched ourselves up on Teddy’s Lookout above Lorne and watched others drive the amazing road that we had just explored. 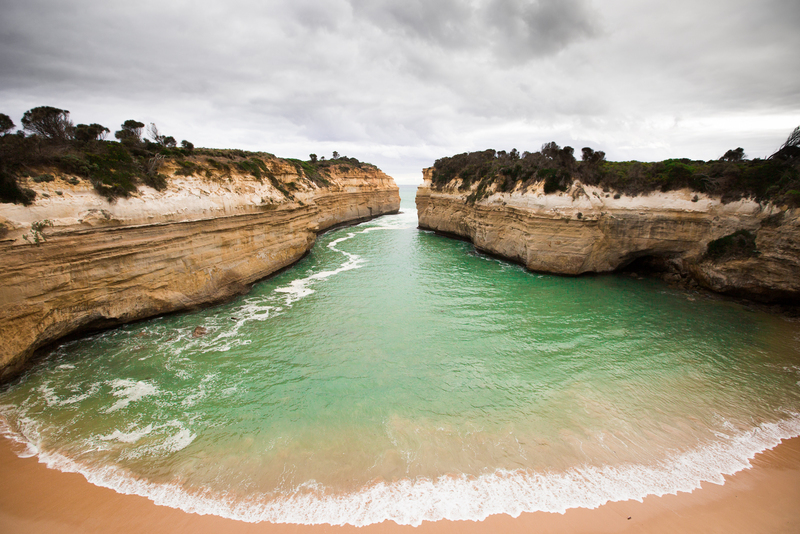 They say its not the destination but the journey that matters, but when you travel the Great Ocean Road they are one and the same. Iceland – Exploring the Land of Fire and Ice.